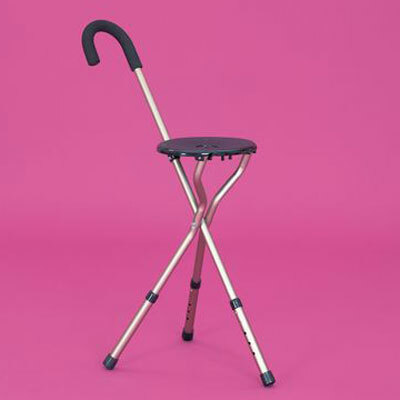 This aluminium height adjustable stick seat is lightweight and folds easily. It therefore can also be used as a walking stick. This aluminium height adjustable stick seat is extremely lightweight and folds easily. It therefore can also turn into a stick which could be used as a support for walking.